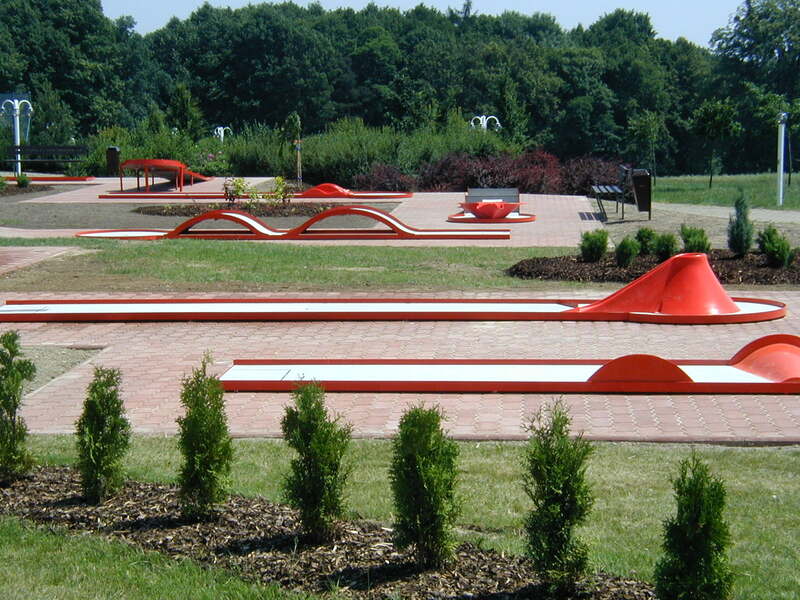 Standard offer includes 28 tracks from which any 18 tracks can be chosen for to have a complete course. 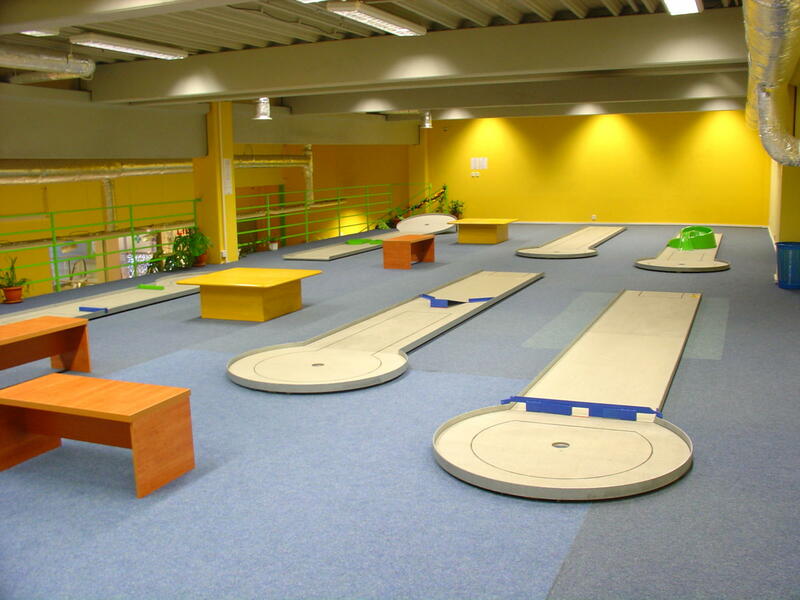 Tracks are produced from heated zinc-coated (galvanized) steel sections, asbestos-free plates of type ETERBOARD HD with thickness of 15 mm (without wooden parts) and laminated and metal obstacles. 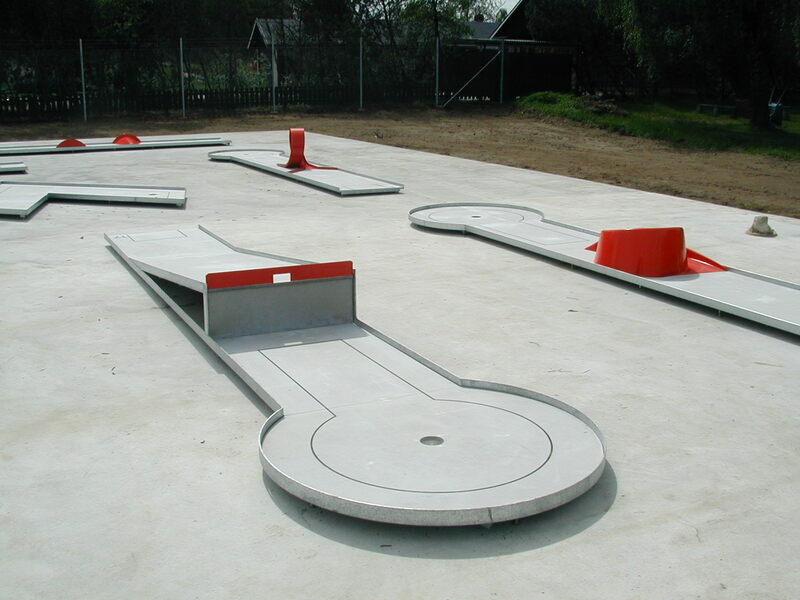 Laminated obstacles are dyed through and metal obstacles are zinc-coated (galvanized) with acrylic coating in basic colour shades of red (RAL 3020), blue (RAL 5010) and green (RAL 6018). 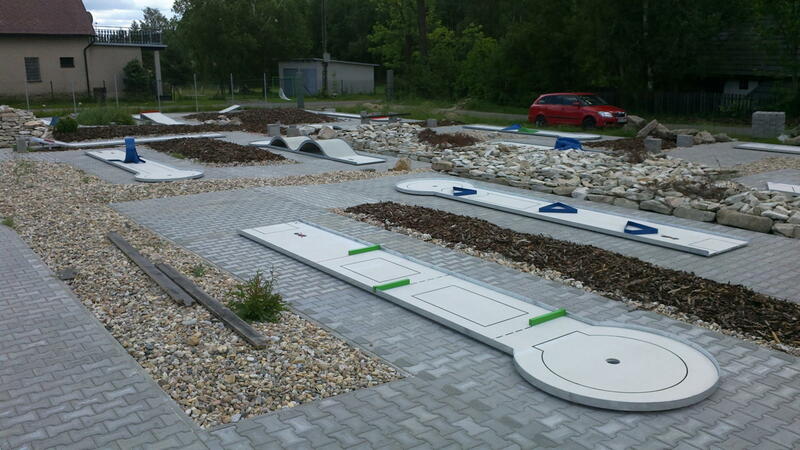 When building minigolf courses, the possibility of combining various colours is very popular, as you can see in the photo gallery. 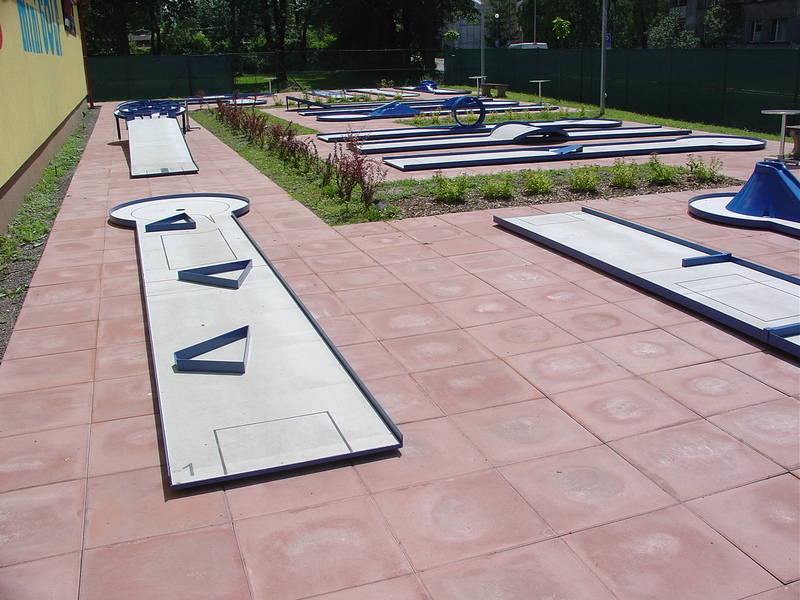 Length of individual tracks is 6.25 m, width is 0.9 m and diameter of target hole is 1.4 m, total length of the course is 113 m.
To install this type of minigolf course, we recommend an area of approximately 800 m2. 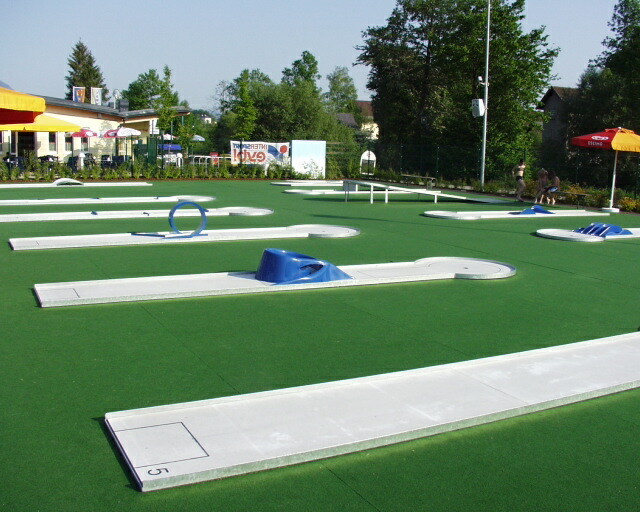 Tracks are laid on hard, paved area that also provides pavement around the tracks. 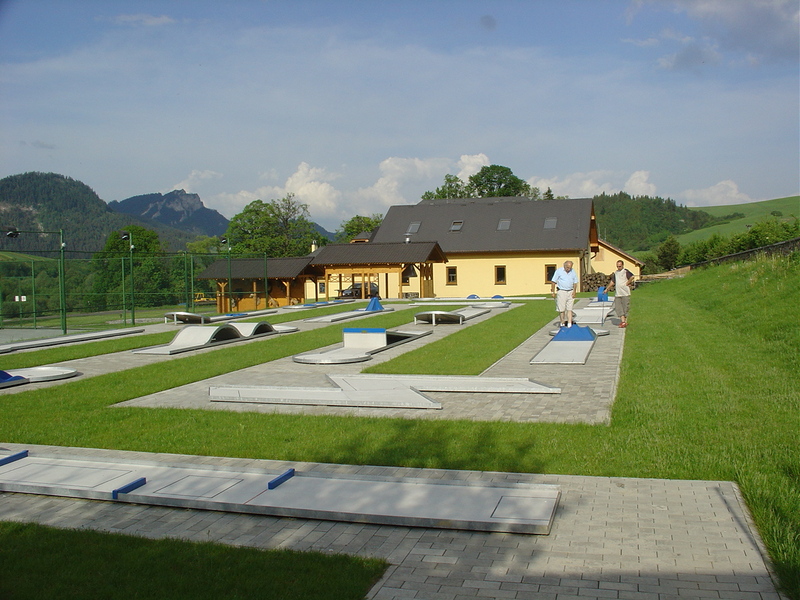 It is the most optimal form of subsoil construction, minimizing the need for possible repairs in the future. 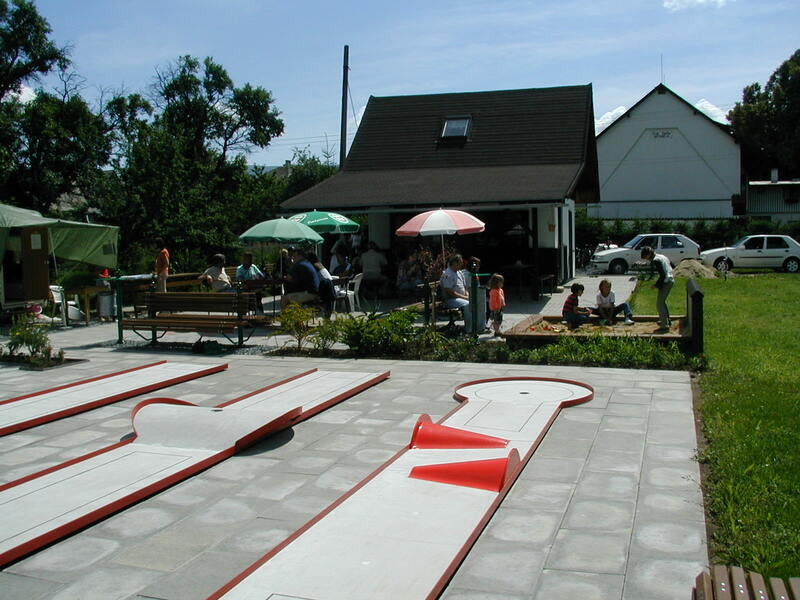 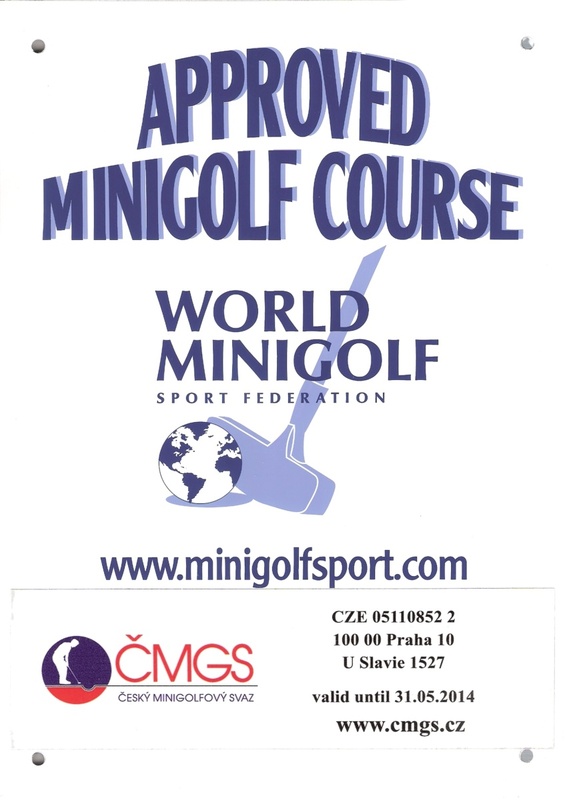 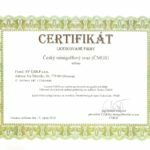 The courses are produced in accordance with WMF standard (World Minigolfsport Federation) and ČMGS (Czech Minigolf Association). 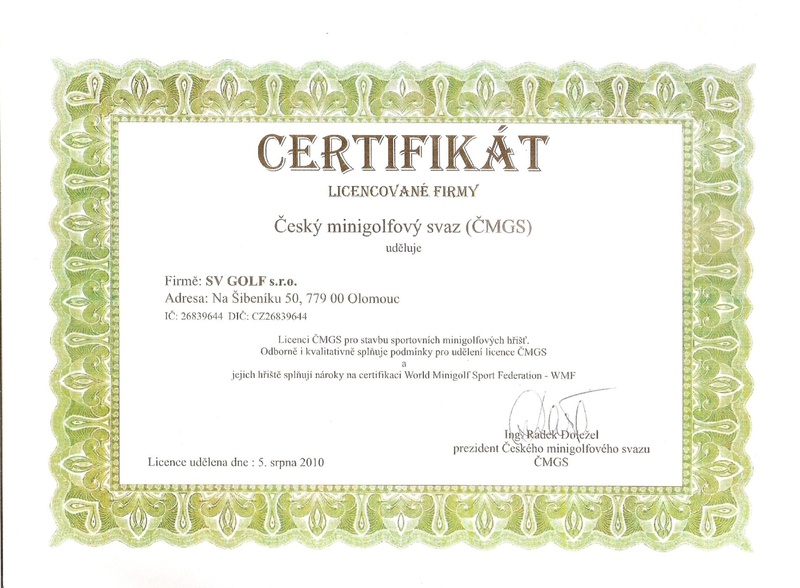 Relevant WMF certificate is supplied along with them for free. 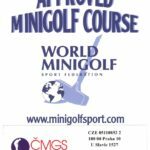 In addition to domestic competitions, important international competitions like the World Championship, European Championship, Europe Cup and other interesting events take place on our courses annually.